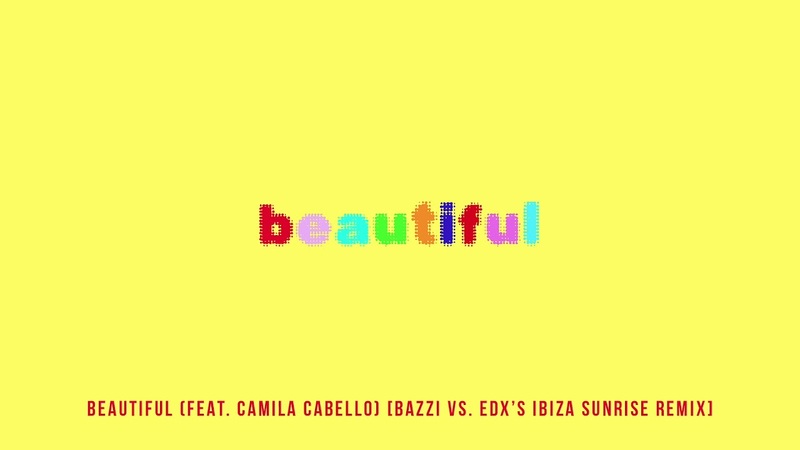 ‘Beautiful’ – the stunning debut collaboration between Cuban-American Pop sensation Camila Cabello and burgeoning singer-songwriter Bazzi – has now received an exquisite new official remix from one of the industry’s most esteemed producers, EDX. Out now via Atlantic Records, EDX’s ‘Ibiza Sunset Remix’ is a masterful, upbeat re-imagining of the critically-acclaimed 2018 single, taken from Bazzi’s debut album ‘Cosmic’, released back in August. Expertly complimenting Bazzi and Camila’s ethereal top lines with his dreamy, yet playful synth patterns, the remix exudes EDX’s inimitable style and ever-tight production values from the outset, and to masterful effect. Transcendent, half-speed breakdowns and four-to-the-floor drops continue to add further contrast to the RnB hit, as the Swiss maestro delivers yet another club-ready edit to one of the year’s biggest singles. For up-to-the-minute EDX news, music and other information, follow his official social channels below.